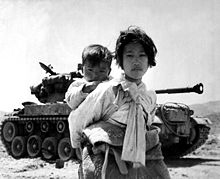 The Korean War was a war fought between the Republic of Korea, (South Korea) and the Democratic People’s Republic of Korea. (North Korea) North Korea was given weapons by the USSR, and military support by China. The United States of America provided military support to South Korea. Korea was controlled by Japan before their surrender at the end of World War 2. Since Korea was a matter of controversy on what government and economic system it should have, it was split along the 38th Parallel, or the 38th degree of latitude. North Korea became a Communist Dictatorship, and South Korea became a Democratic Republic. Despite being called a “Democratic People’s Republic” the north is a communist country. Another example was communist China, called the People's Republic of China. On June 25, 1950, North Korea invaded South Korea. The U.N., along with the United States assisted South Korea to defend against the invasion. The U.S. army was almost defeated in this war, as they were pushed back to a very small area, known as the Pusan Perimeter. But with U.S. support, the South Korean Army pushed the KPA (Korean People’s Army, AKA North Korea’s Army) back across the 38th Parallel and almost back to the border of China. This angered China, as they saw it as a breach in their security. They teamed up with the KPA, and pushed the U.S. and the South Korean army back across the 38th Parallel. On December 31, 1951, the KPA and China began trying to invade South Korea again, but had no real success. Once Dwight Eisenhower, the current president of the U.S., let China and North Korea know that he would not hesitate to use nuclear weapons to end the war, a peace agreement was reached. 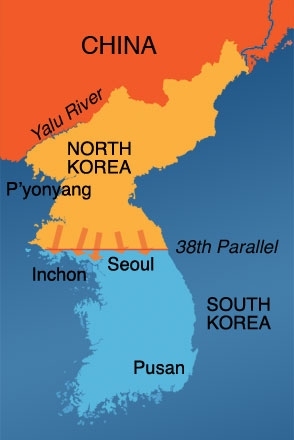 The 38th Parallel Boundary stayed relatively the same from before the war. The armistice was signed on July 27, 1953. 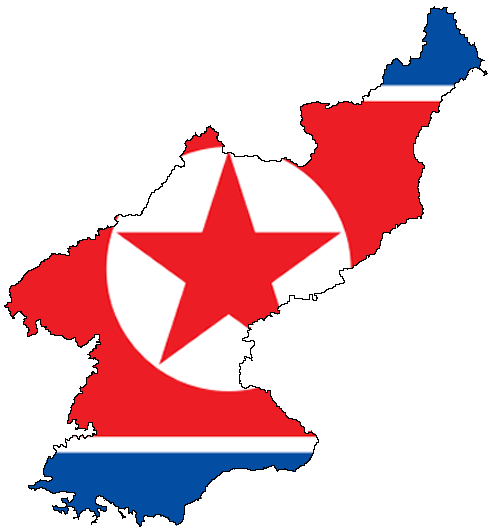 To this day, North Korea has remained a communist nation, one of the two left in the world, along with Cuba. South Korea is a thriving democracy. The two countries are still not very peaceful however. On November 23, 2010, North Korea fired artillery at the South Korean island of Yeonpyeong. This almost resulted in another conflict. Tension has remained high between these two countries, and it will be difficult to put aside their differences and be peaceful. After WWII, Korea was split into communist north and democratic south, with the border on the 38th line of lattitude. After 3 years, the communists pushed the U.S. across the 38th parallel, got pushed back across, and invaded again, but to no avail. The border stayed the same.